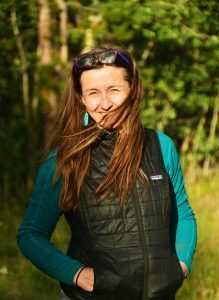 Meet Martina Volfova, a PhD student in linguistic anthropology, currently living in a small town in the Yukon Territory but born and raised in the Czech Republic. After receiving her BA and spending years teaching foreign language and literacy, Martina began exploring issues surrounding language revitalization, which eventually led her to the Anthropology Department at UBC. I was born and grew up in the Czech Republic. I left my home country and came to the United States in 1993. Originally, I only planned to stay for a couple of years and then return home. I wanted to improve my English language skills, gain more work experience and I also wanted to travel to all the different places I’ve read about as a child. My journey took countless unexpected turns, with many wonderful opportunities coming my way, and now, many years later, I am working on my PhD in linguistic anthropology at UBC, living in a small town in the Yukon Territory. I have a BA in linguistics and Spanish from University of Minnesota, Twin Cities, where I focused on issues of second language acquisition and minority language maintenance. As a senior, I conducted a research project, where I looked at the maintenance of American Czech in a small rural community of New Prague, Minnesota. While working on my BA, I taught English as a foreign language and Spanish literacy in an urban community center in Minneapolis, which served immigrants and refugees from Mexico and Central and South America. I fell in love with all aspects of this work! In the following years, I kept teaching and eventually training others to teach as well. I worked for a literacy center in Anchorage, Alaska, a number of language schools in Montreal, Quebec, and an international high school and an evening adult language program in Salt Lake City, Utah. While living in Salt Lake City, I began taking courses in anthropology and language revitalization at the University of Utah. I was fortunate to be invited to help in conducting a workshop for Native American language teachers at the Center For American Indian Languages. Learning about the challenges many of these teachers were facing further solidified my interest in Indigenous language revitalization and left me with many questions I wanted to explore. I eventually enrolled in an MA program in linguistic anthropology in Northern Arizona University, Flagstaff. There my research involved working with a Shoshone and Goshute youth language revitalization program in Utah. Upon completing this program, I was inspired to continue exploring issues surrounding language revitalization further. While I really enjoyed the rigor of linguistics, I was drawn to the human aspect of language use – what people do with language and how it influences social life. As both a language teacher and a language learner, I knew from personal experience that being able to speak and understand a language doesn’t just require one to know how the language works grammatically, but also what speakers actually do with it. This led me to linguistic anthropology, a field of anthropology which studies language as a form of social action, investigating how communication and culture are connected. When searching for a place to do my PhD, I wanted to find a program that was supportive of community based research and had faculty members who were deeply engaged and invested in Indigenous language research, maintaining strong and ongoing ties to Indigenous communities. I was impressed with the work of my supervisor, Dr. Patrick Moore and I wanted to have the opportunity to work with him. 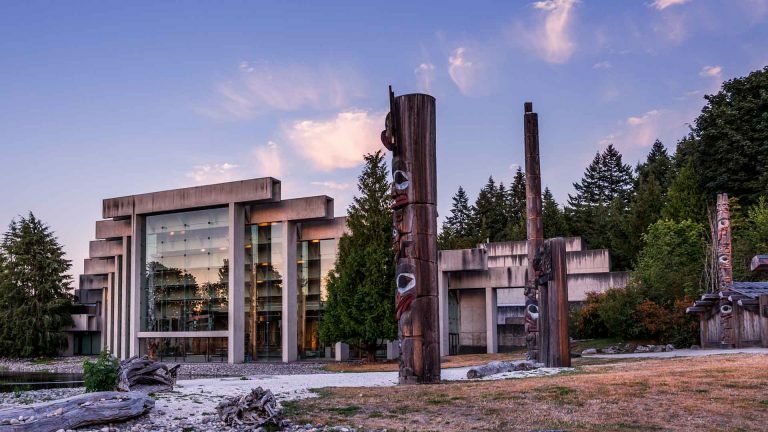 The First Nations and Endangered Language Program at UBC and the work of several of its faculty members, all of whom are affiliated with the anthropology department, also intrigued me. I saw UBC as a good place to do the work that interests me, and I felt I would be well supported here. My research interests include issues surrounding language endangerment, revitalization, maintenance, and most recently language documentation. My PhD research seeks to provide an ethnographic analysis of the ways language revitalization practices reflect, produce, and transform wider social practices, values, and ideologies, including those relating to language. I am exploring alternative ways to engage in Indigenous language work, locating it within a community of young emerging speakers, as a form of innovative social action and a political and intellectual engagement. 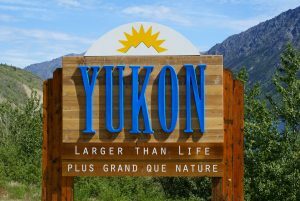 I am currently conducting my PhD research in Watson Lake, Yukon, a small community located in the southeastern part of the Yukon Territory, on the traditional territory of the Kaska people. Kaska is a Dene language spoken in southeastern Yukon and northern British Columbia and is one of the eight Indigenous languages spoken in the territory. I really love the opportunities that come with being at a large university – being able to attend interesting talks from local and visiting scholars. I also love participating in various cultural events at UBC. Some of my favorite events and performances took place at the Museum of Anthropology. What has been challenging for me is not having many graduate peers in our department, who focus on linguistic anthropology. There have also been limited opportunities for me to enroll in linguistic anthropology classes due to infrequent course offerings. My first year in the program, I was the anthropology graduate student representative for the university’s Graduate Student Society (GSS). In my second year, I served as one of the co-presidents of the Anthropology Graduate Student Association (AGSA). Also in my second year, I organized a small graduate student-writing group, where graduate students in different stages of the program met to share and get feedback on each other’s work. I think what I have really appreciated about being at UBC are the opportunities to meet, learn from, and work with many talented people from other disciplines. In a large university such as UBC, there is so much happening around us, all the time, but yet, sometimes we tend to be too narrowly focused on what it is we are working on in our fields. We are not always open to learning from others, and especially from others in other disciplines. I think this is unfortunate. I have always valued collaboration with others. In fact, some of my best work has come from collaborating. Since coming to UBC, I have met and at times worked on projects with people from multiple different departments such as the Music Department, Geography, Social Work, Linguistics, and Education. I have also participated in UBC’s FIREtalks – (Facilitated Interdisciplinary Research Exchange), which provided a great platform to share and discuss my research with others from very different disciplines. I have learned and continue to learn so much from these experiences, and it is something I am really proud of. My advice is more general and could apply to any graduate student: Work hard and immerse yourself in the work you came to do, but don’t forget to also find time for other, non-academic interests and activities that keep you happy and healthy. For me, even during the busiest of time, spending a day in the mountains is time well spent. I always come back energized and inspired!